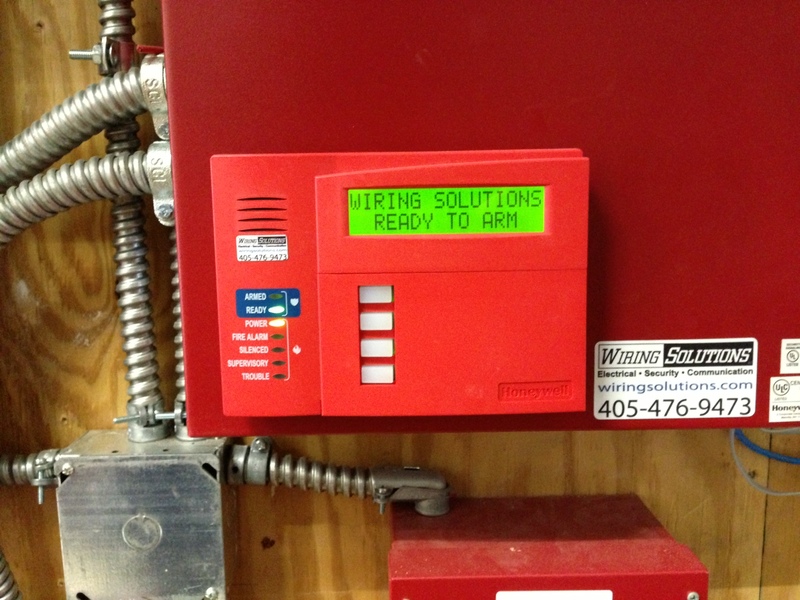 Commercial Fire Alarm is a business that unfortunately not a lot of companies take seriously enough. Wiring Solutions prides ourselves in our Life Safety division and strived to differentiate ourselves from the completion by employing the latest technology and best trained technicians available. As with our security alarm division, all of our technicians are background checked and licensed for the work they perform. Our commitment does not stop with the minimum standards though. NICET training, OSHA certifications, and a complete understanding of the National Fire Protection code governing our industry are just a few of the things that set us apart from others. We are a bid-to-spec company as well as a design/build operation and our in-house design department, including a CAD designer on staff, will work closely with you to ensure the system you get is the right system for you. Our systems range from single room detection and notification to nationally known big-box retail stores with several hundred notification appliances in each building. We have the right people to ensure your life safety application installed to code and within budget. Electrical License OK5762. Security License 0888.